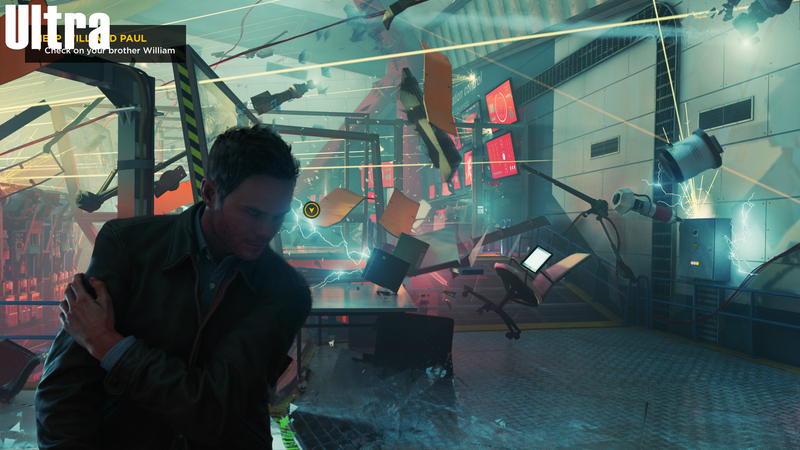 Even when looking at these screenshots side by side it is sometimes difficult to notice some of the graphical changed that are made when moving Quantum Break above medium settings, as beyond some increases in texture and shadow resolution the differences are very minor. 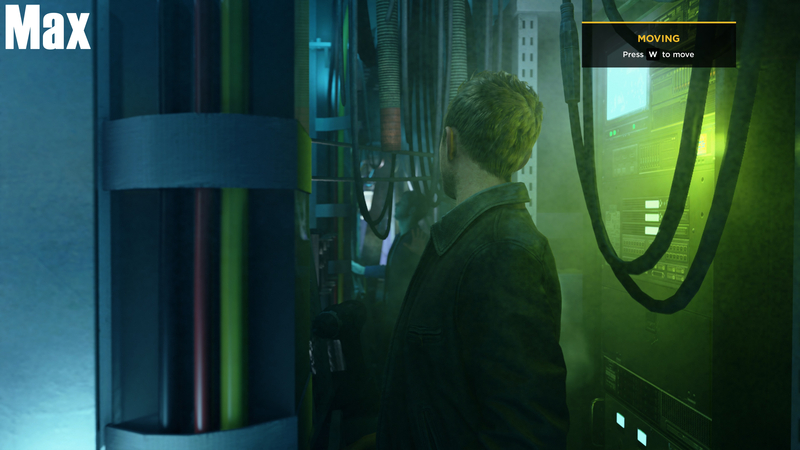 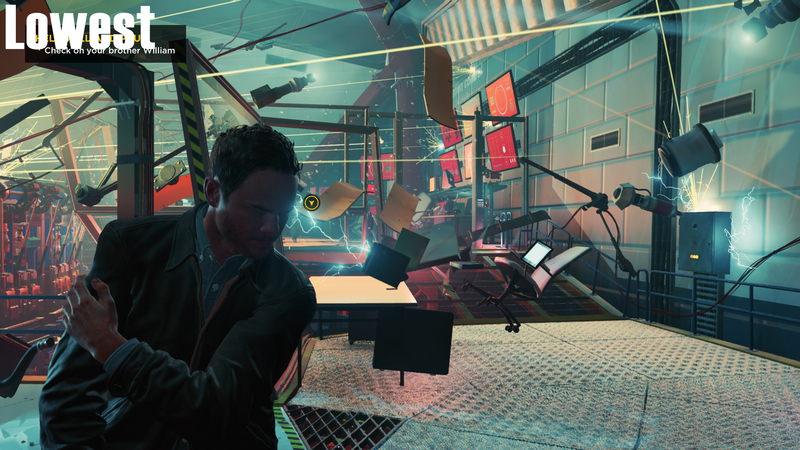 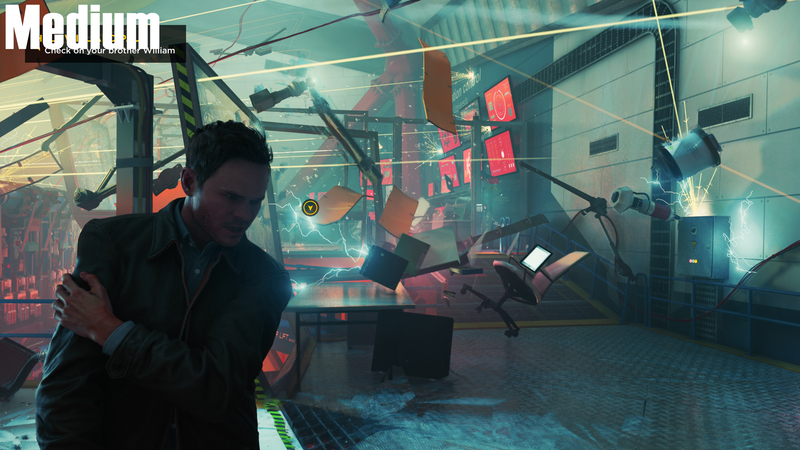 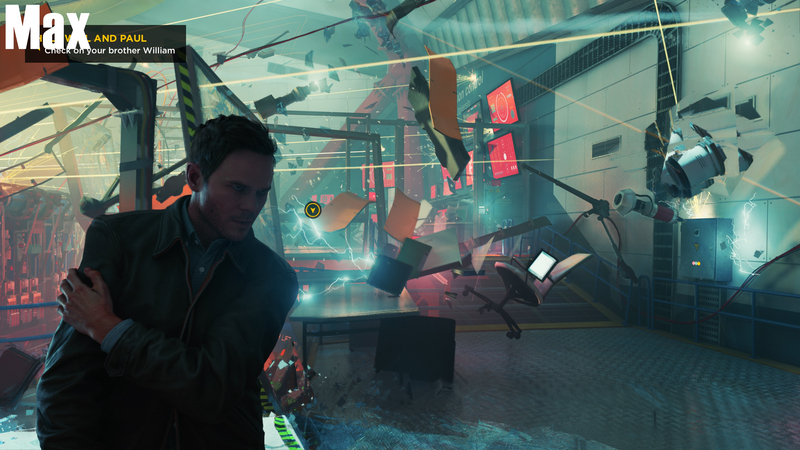 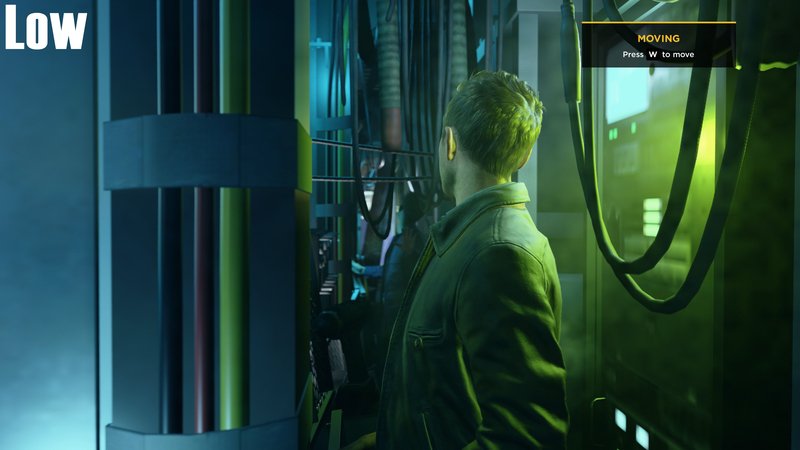 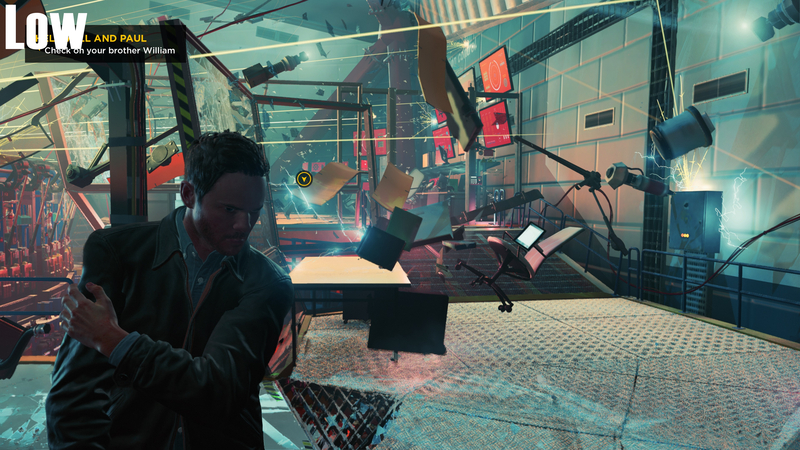 The lowest settings in Quantum Break are a significant drop in quality from Medium, with much lower resolution textures used on the walls and on most game objects and the lighting getting turned down to a degree where many things in the game become difficult to look at, especially when you know how much better looking Jack Jayce is available at medium settings. In Quantum Break I really wonder why there is no In-Game graphical preset was made between low and medium, or at leat the medium preset was not renamed to the High preset given its similar graphical quality to Ultra settings. 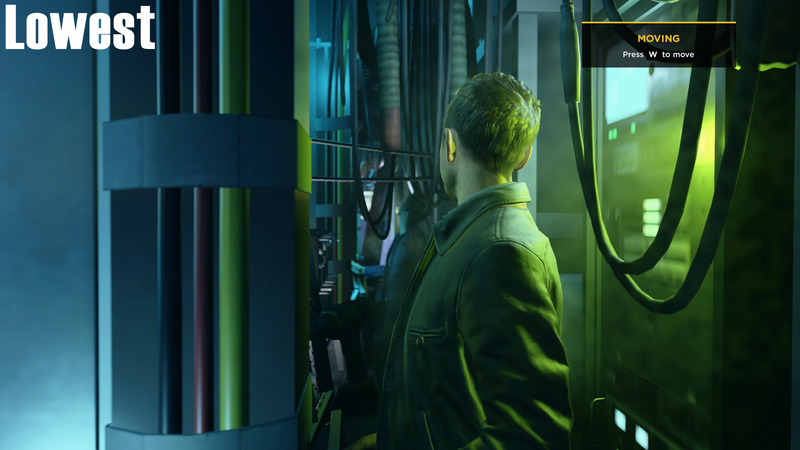 Here we can finally see a major difference between medium and higher graphical settings, which is that in certain scenes fog effects look very different though at Ultra and above it does seem to make the image look rather grainy when compared to medium.